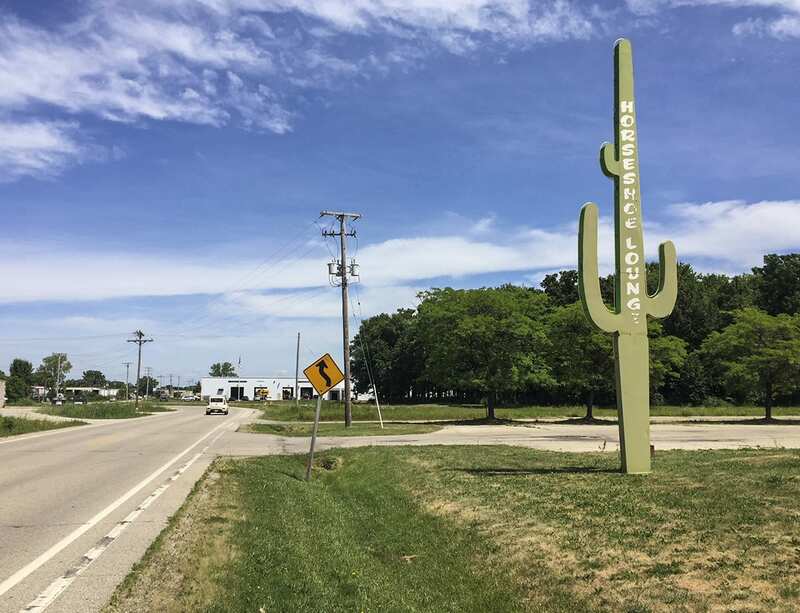 Driving around Appleton, I have noticed commercial signage that utilizes elements from roadside marketing long used on highways to attract business. I might refer to this as roadside point of purchase marketing. These signs and structures appeal to the whimsical side of human nature, oversized, lit up at night and attention grabbing. The gold standard for this kind of roadside advertising is Las Vegas. Historic route 66 was the beginning of it all when it was established as a national highway in 1926. On Wisconsin Ave. near Morrison St. is a dentist’s office. 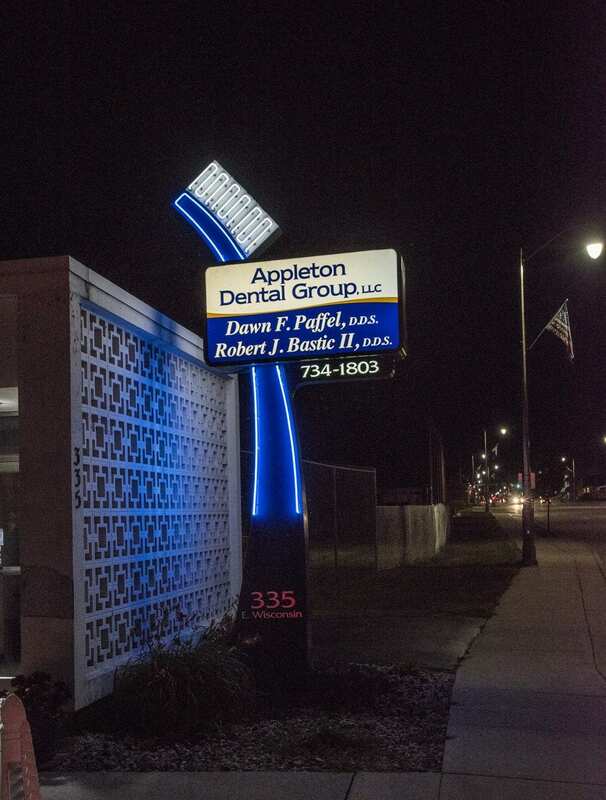 Their sign of a large toothbrush is beautifully lit at night. 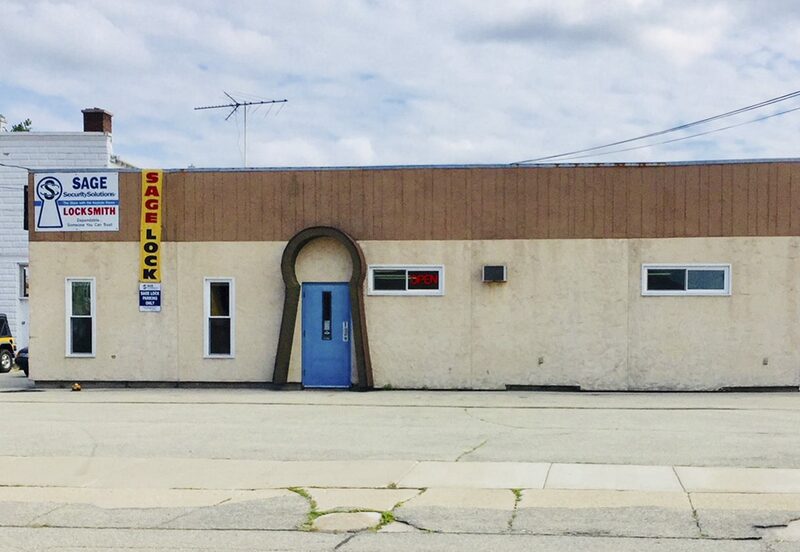 Traveling west from the dentist’s toothbrush and turning north on Richmond St. a locksmith has it’s doorway in the shape of a key hole. If one is not paying attention, it can be missed. Just off West Wisconsin Ave., before Bluemound Rd, off to the right is All Seasons Coffee Shop. 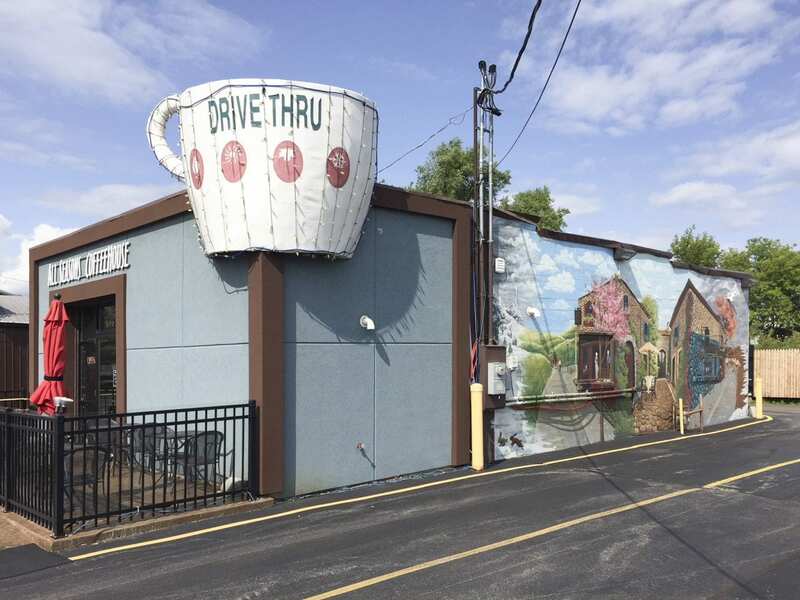 You can’t miss the huge coffee cup on the corner of their building. 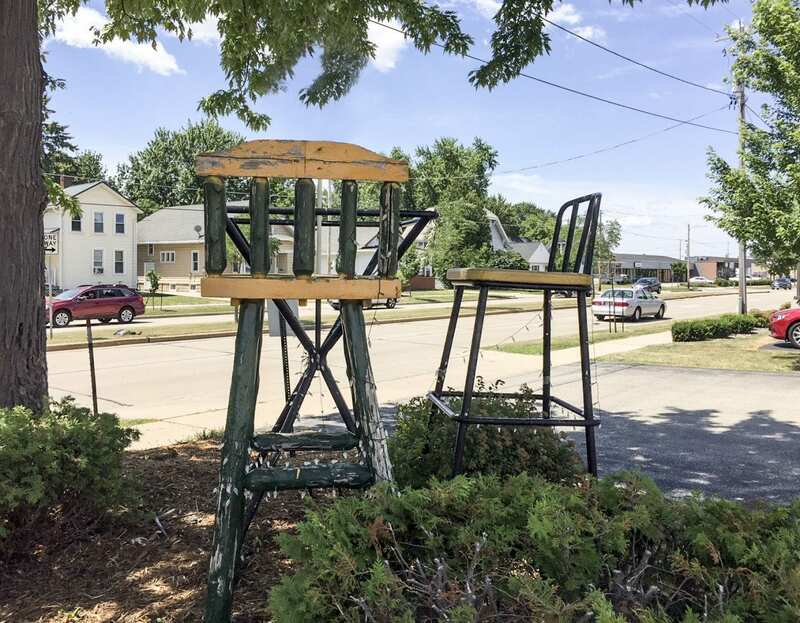 On College Ave. near Douglas Street, is Bar Stools Direct. 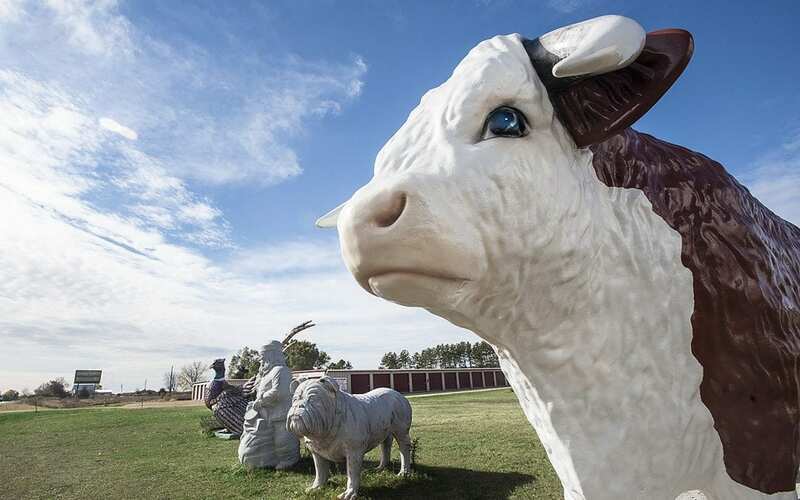 If you listen carefully, you can almost hear: ” Fee- Fi- Fo- Fum… off in the distance. The cafe table and stools set up near the road are sized for a giant! Sheltered by trees, the paint on the set up is in need of paint. I save the best for last. The neon cactus is in front of the now shuttered Horseshoe lounge north of College Ave. on Perkins St. The location and actual sign looks like it could be out west somewhere. 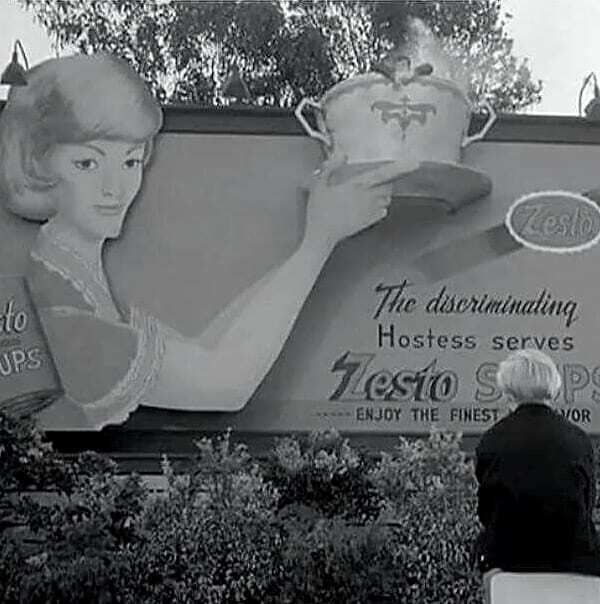 I would have loved to have seen it when it was in operation and lit up in the dark. With a resurgence of interest in preserving and restoring existing signage and neon in some parts of the country, I am sorry to say that more often than not, the old is demolished for something newer and supposedly better. Flat plastic backlit plexi signs replace neon. Three dimensional marketing is replaced by two dimensional signs. It is good to see that Appleton has a few quirky attention grabbers to differentiate a handful of business’s from typical roadside advertising.